The brakes are one of the most important parts of your vehicle. Without them, you wouldn’t be able to drive safely. That’s why it’s so important to be able to spot problems with your brakes early on and then get them repaired as soon as possible. 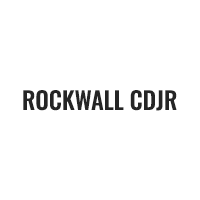 For those looking for a “brake repair near me” in the areas of Lavon, Fate, and Heath, you can count on us at Rockwall CDJR. 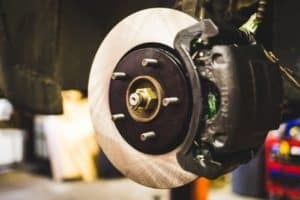 Read ahead to learn more about how to spot brake problems and how our helpful team of technicians can repair them for you! Experiencing one or more of these problems is a good indicator that your brakes need some professional attention or need to be repaired. When you spot problems with your brakes, bring your vehicle to us. Our service center is staffed with a team of expertly trained and extensively experienced service technicians who can handle any problem you throw at them. Whether you just need a new set of brake pads or extensive brake system repairs, you can count on them to get the job done right. We’ll have things back to normal and have you back out on the road in no time. 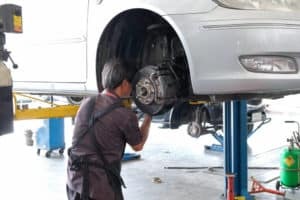 Now that you know a bit more about brake repairs and how we do them at Rockwall CDJR, we hope you’re ready to schedule your service appointment. Drivers in Lavon, Fate, and Heath should give us a call today!